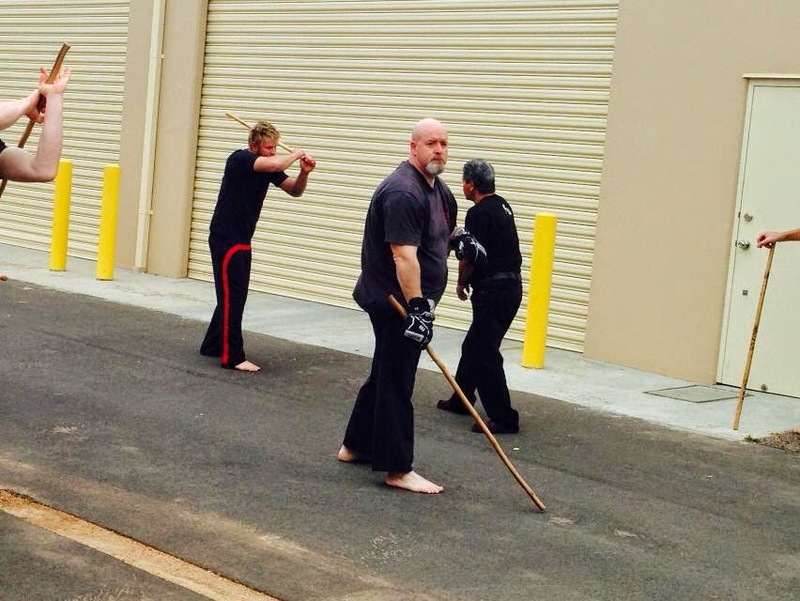 ORIGINAL FILIPINO TAPADO LONG STICK FIGHTING ASSOCIATION, INC. This is an association of all original filipino tapadistas. This group uses a long stick made of coffee stalk and is about 45-47 inches long and is held by two hands. 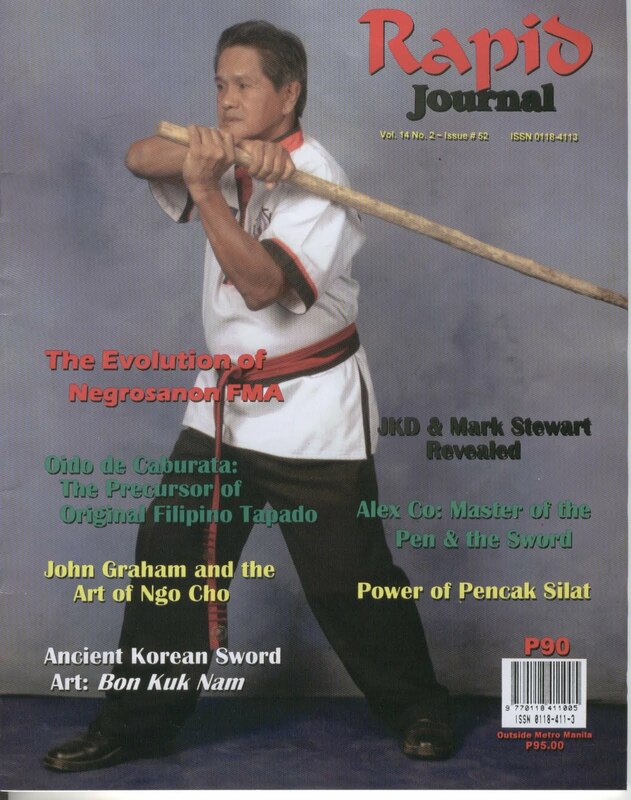 This form of Filipino Martial Arts was invented by the Late Grandmaster Romeo "Nono" Mamar of Taloc, Bago City, Negros Occidental, Philippines. 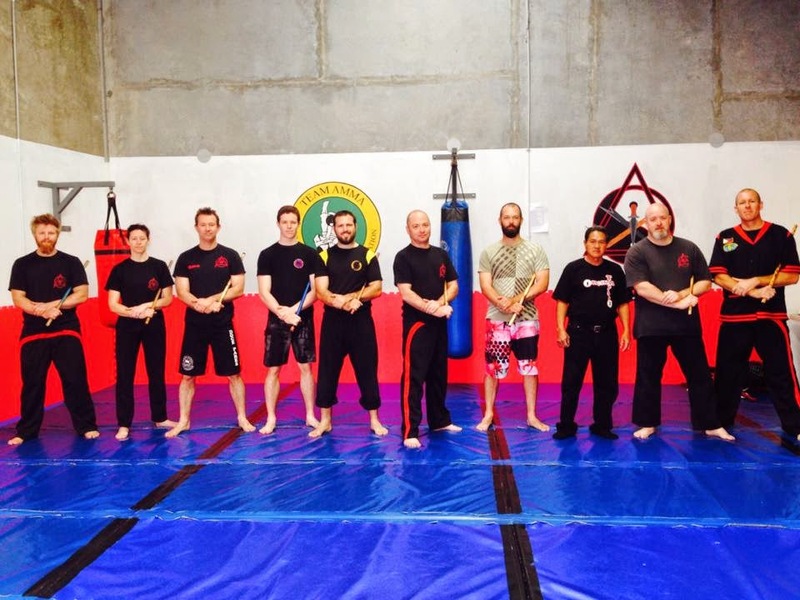 The style is different from the usual arnis/escrima/baston style. 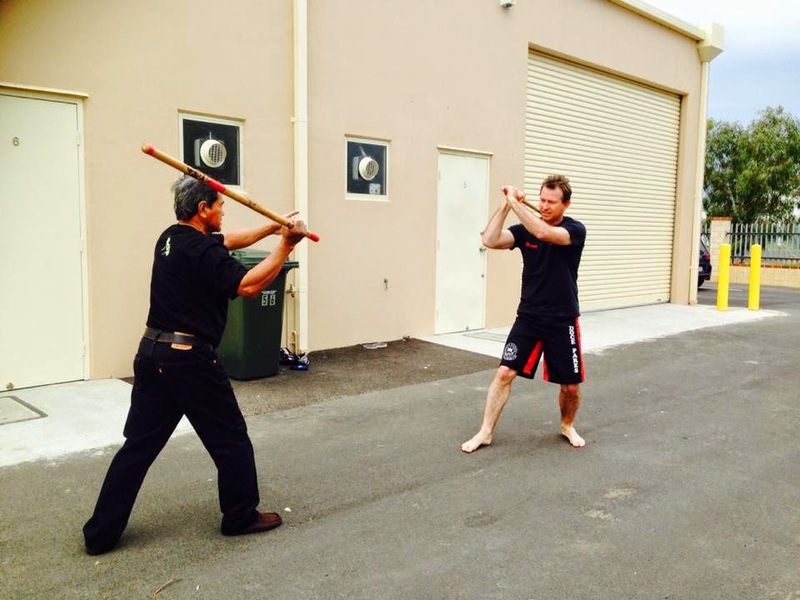 Recently as of August 21, 2014, GM Benefredo "Bebing" Lobrido, President/Headmaster of Original Filipino Tapado Long Stick Fighting Association Inc went to Australia to visit his daughter, Rhobie who married Rodney Rawson an Australian. By chance when they went out fishing a group of local journalist took pictures of their group and started interviewing the visitors from the Philippines. 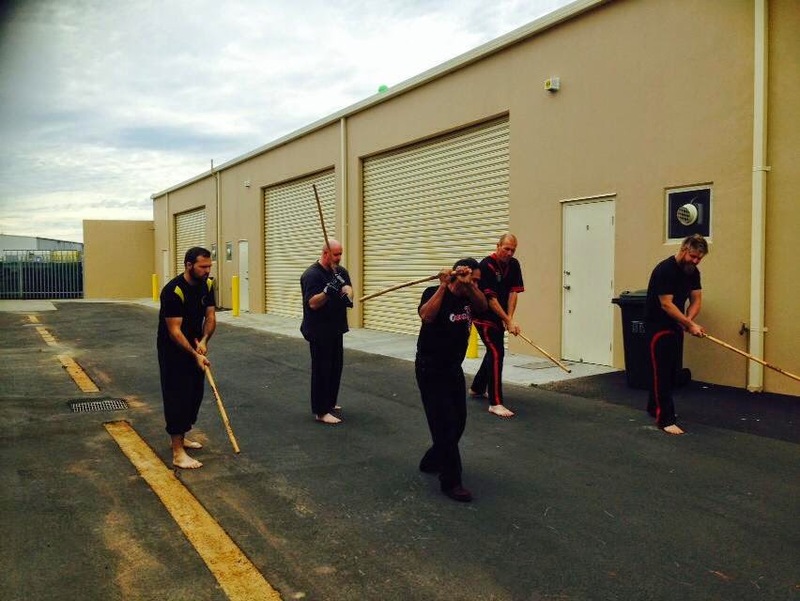 It happened that the interviewer had many friends in their community that were eskrima practitioners. Upon reaching home, they were surprised that many telephone calls from arnis groups kept calling to meet the GM. GM Lobrido was obliged to meet them and upon seeing and feeling the power of OFT strikes, they were very enthusiastic in learning the Art from the Grandmaster himself. So they scheduled their practice with the headmaster until such time that the visit of the chief 's vacation was over. Aside from giving a commentary via dialogue, chief GM Benefredo Mamar Lobrido, headmaster and President of OFTLSFAI used a commentary by means of an example. Such was his comment during our recent visit. He commented on certain demonstrations wherein the performer was doing injustice to the art that he was representing. In particular in showing espada y daga form or techniques. He recently witnessed a demo on espada y dag which he noticed that it was very far away from the form by the ancients master and those who really practices the form. He commented that such an action of the performer was doing injustice to the art. Such should not be done. He even commented that it was a shame that such an injustice was done to the art. He admonished us who are members of many styles that we should never do a demo in a haphazard way. We should give justice by doing it the traditional way. That is why after admonishing us, Chief Bebing, as we call him, took two sticks and demonstrated to us the way we should do it. He said that he might have not shown the ancient way but his performance was near to the traditional way. Practice before doing the demonstration that is what he told us. and his last word was, :Makahuluya, indi amo"
Last Month the last issue of Rapid Journal came out and the Cover page of the last issue was GM Benefredo "Bebing" Mamar Lobrido, the 1st Generation Inheritor and Headmaster of the Original Filipino Tapado Long Stick Fighting Association, Inc.
Kagawad Romeo Tokong Mamar, Jr. son of the late GM Romeo Nono Mamar turnover the symbolic tapado stick to GM Bebing Mamar Lobrido as the next head of OFTLSFAi. 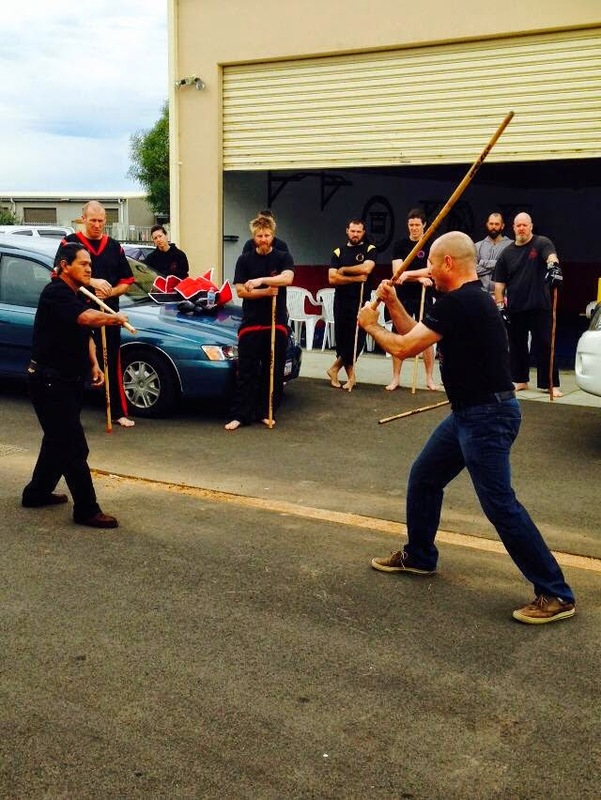 GM Bebing Lobrido (in red shirt) doing a higher linyada with Sr. Instructor Joefrey Deriada at the receinving end. Tapado short stick practice at Purok Langka, Bgy. Taloc, Bago City at the vacant lot of the Lobrido Family.